For pets with no prior periodontal problems we recommend a yearly oral exam and cleaning. For pets that have been previously diagnosed with periodontal disease, we recommend they be seen every six months to keep their mouth healthy and pain-free. Our dental services include: routine cleaning and polishing, extractions, digital x-rays, and oral surgery. We also have access to dental specialists. 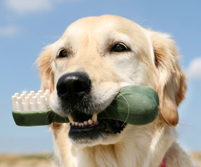 Home care is also extremely important and we offer many items to aid you in the care of your pet’s teeth including flavored/edible toothpastes (never use human toothpaste), specially designed toothbrushes, weekly plaque prevention kits, oral rinses, and dental chews with enzymatic properties.